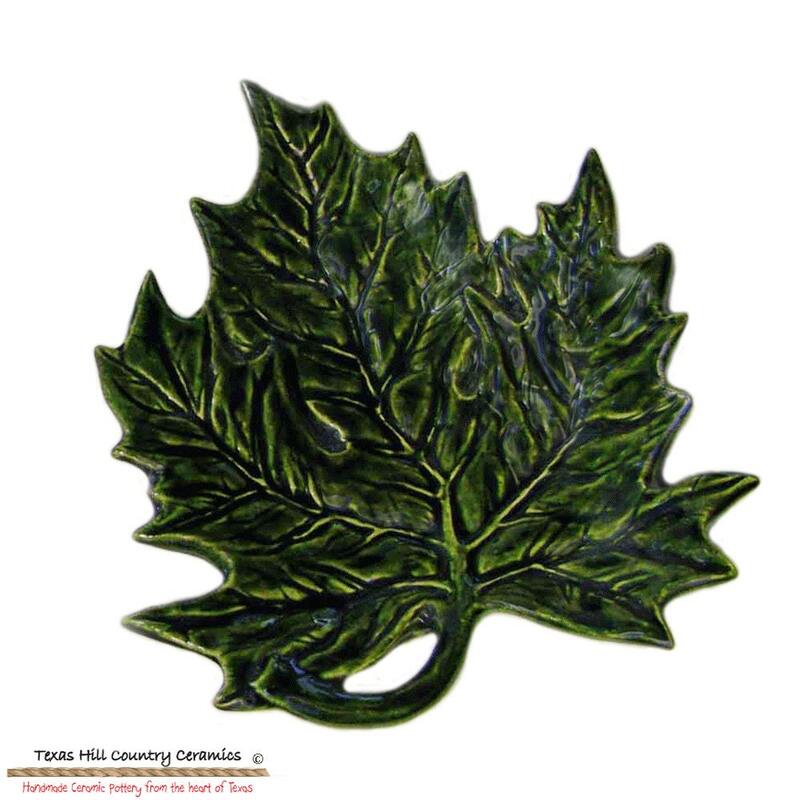 This beautifully detailed green maple leaf is a striking accent to any decor and it has a dual purpose. It can be used as a personal size tea bag holder or to hold teaspoons. 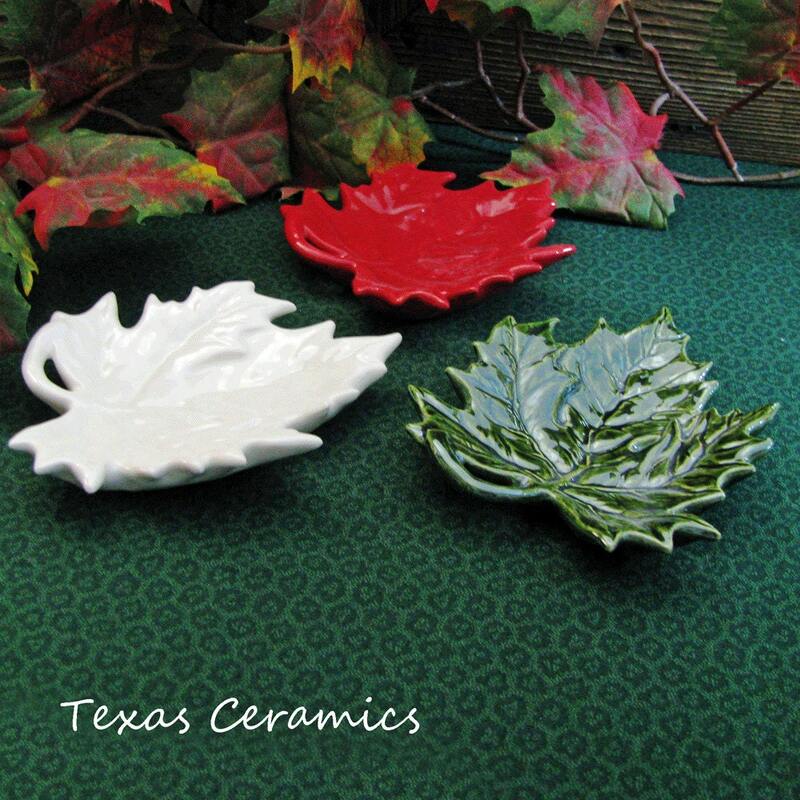 This maple leaf can help keep counters clean, it is also a nice complement to a favorite teapot or coffee pot or just to admire. It can also be used on a desk as a catch all. 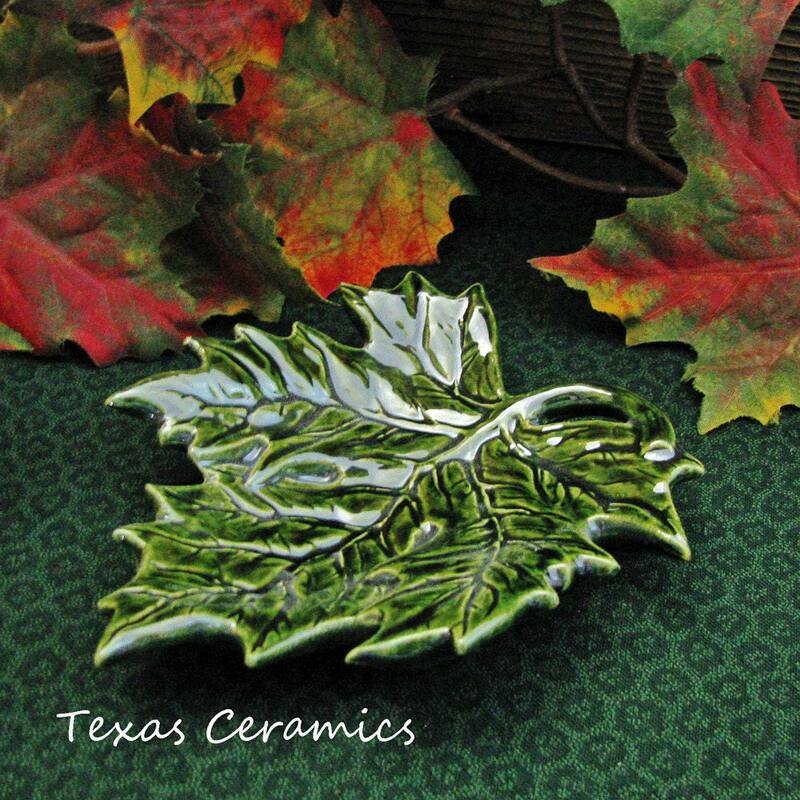 This maple leaf is simply gorgeous in detail and color, when other colors are added it makes a stunning collection. This leaf is available in an assortment of colors, it also stacks neatly which is great for confined areas. 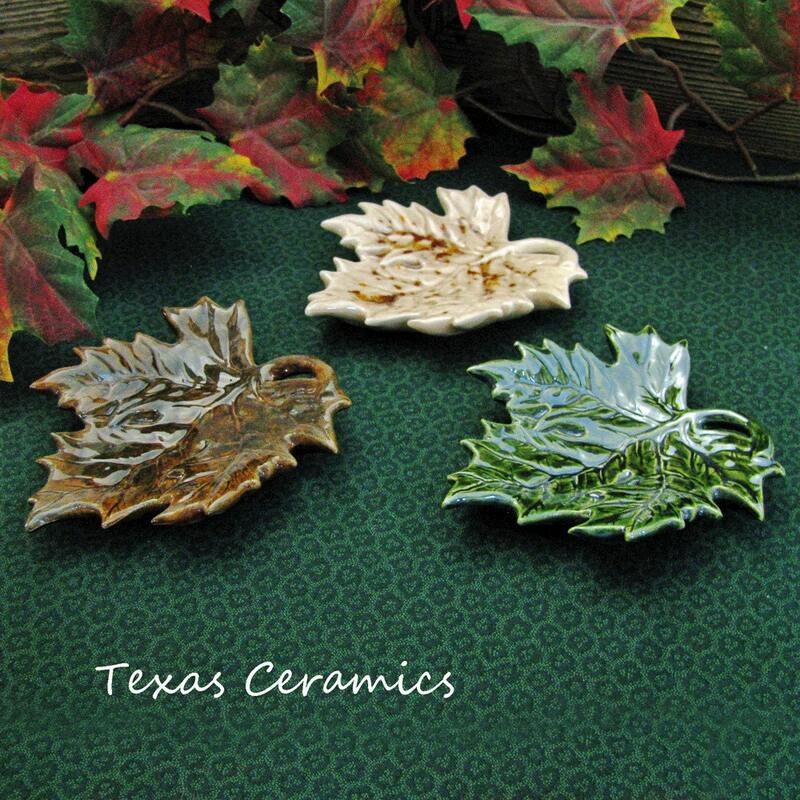 This maple leaf is made of kiln fired domestic clay. I chose a glossy art glaze for this piece because of the detail. Art glazes are a single color glaze and when kiln fired create dual coloring, smooth surfaces are slightly lighter and more lustrous, detailed areas are enhanced. It is dishwasher safe, food safe. Please keep in mind each one is hand made and the one you receive may vary slightly from the one in the photo, no two are alike. Well, I love these little leaves. I liked my first one so much I decided to buy two more of them. I use them as tea drip-dishes, a spoon rest, and even dedicated one to the laundry room, to put the soap measuring cup on between loads. So gorgeous. I am using it to rest tea bags in between steeps, but one could easily use it as a rest for a large soup spoon (I know the description said teaspoon, but really - this is pretty versatile. Obviously not ladle-sized, though). The color is nice, and the glaze is very high gloss (which I hadn't quite gotten from the photos). The detail in the leaf is absolutely beautiful. The veins are so artistically done! I'm actually thinking I need to keep an eye on this shop for a slightly larger version I can use for cooking spoons. My new leaf needs a buddy. so pretty, wonderfully detailed! packaged well and arrived safely.